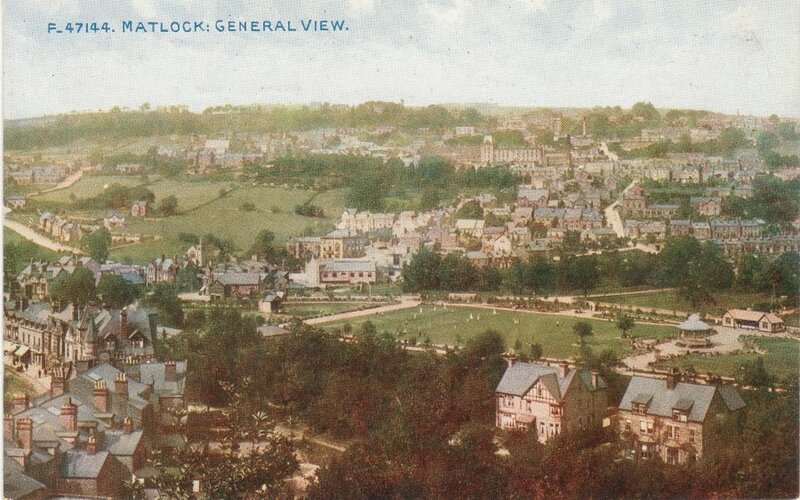 This is a view of Matlock Bank from a slightly different position from usual, probably taken from Pic Tor. 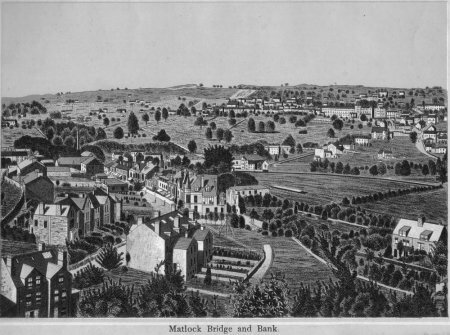 Bottom left is Dale Road near the Bridge. The road in the distance is not Bank Road but New Street and Henry Avenue. A cricket match is in progress on Hall Leys Park, where the Bandstand is prominent. The spire of the Wesleyan church on Bank Road is visible, so the photo was taken after 1904, see photo 176. However, the tower of Rockside Hydro (built 1906) seems to be missing (behind the huge Smedley's Hydro, see photo 212). Lets guess the photo was taken 1905.